My Friends: Today is August 25, 2014. The American Civil War Sesquicentennial continues rather somberly for on this day, 150 years ago, Union Army Lieutenant James S. Stratton was killed in The Second Battle Of Ream's Station in Virginia. James Stratton was born on December 11, 1843 and fell on August 25, 1864. He was a mere one score or 20 years of age. 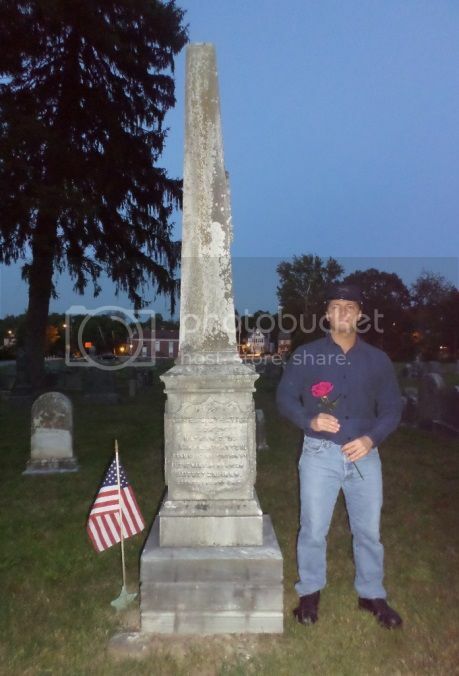 I traveled to Mullica Hill, New Jersey to visit his grave and pay tribute. The rose is part of the nineteenth century Grand Army Of The Republic tradition of sprinkling rose petals on the graves of the fallen.